Money's tight for everyone... Let's share ideas on how to stretch our dollars! If you're looking for just about any Christian or inspirational book or gift, this is an excellent site to check out - some really good deals, and now check out this blurb about no shipping - yeah!!! Want to do your Christmas shopping without shipping charges? Just place an order of $25 or more before 11:59 PM Eastern Time on Wednesday December 10th, enter promotion code 289265BBPURW and choose standard shipping. How do you become a saver? It is hard at first, and can feel not very fun when you're starting. Once you start, though, it feels good. Less stress, less worry, more dignity, more calm. As you watch your balance grow, it becomes a little addictive and you'll want to keep going!! Any stories you can share on this? How can you boost your savings? Save the payment. When you finish paying something off, like a car loan, keep paying yourself into savings. A $330 payment saved for 5 years and invested at 6% turns into $23,470 in five years - cash for a new car!! Do something big. Once you start savings, do something big. Get rid of a car. Downgrade your house. Save big! Sell out. Go through your drawers and closets. If you're not using it, sell it on eBay or have a garage sale. Give it up. If you give up a daily coffee, candy bar, cigarettes, or for me, fountain soda, it can add up. Saving $5 a day gives you $1,825 a year! Think hard about driving. Cutting out 20 miles a week of driving will save about $5, or $260 a year. Buy used. Check out Craig's list or even giveaway sites like Freecycle.org. It takes a little time, but can save a ton. It is said that Albert Einstein called compound interest "the eighth wonder of the world." Even in today's volatile stock market, you're better off to stash your money in some sort of interest bearing account than not. Mary Hunt gives this example: If you save $25 a week in a savings account earning 3.5% interest, and you do this faithfully through your working years from age 35, you will have $69,000.00 in your savings account when you retire at 65, even though you only deposited $39,000 of your money. If you up it to $50 a week at 6% interest you'll have $219,000 at retirement!! Wow! Even the first, conservative account, earns you $30,000 for doing nothing but not touching your money!! Makes sense - now let's do it! 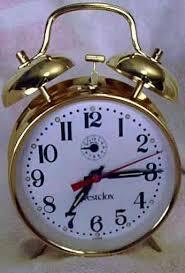 Don't forget to change your clocks back one hour this Sunday!!! I am here to share information, to gather information, and just to figure out how to best live the life given to me. :) I have degrees in Psychology and Early Childhood Education, but most of my learning has been in life after school, especially since having kids! I am occasionally contracted with by providers of goods or services to share my opinion on their product or service, but my opinion will always be shared honestly. Just wanted to be upfront with you! !